How to Develop a Measurable and Effective ADHD Treatment Plan | Navigating ADHD Inc. Diagnosing and implementing a treatment plan for ADHD are the first and most important steps you will take with your child as they navigate ADHD. But once a treatment plan is implemented staying on track and measuring success is key to your child’s overall growth and development. 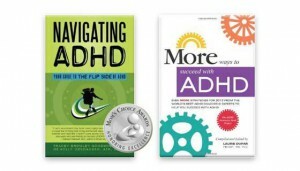 There are many more options available to parents today for ADHD treatment. Everything from medication to establishing routines, to yoga and meditation and beyond. However, if there is not a firm strategy and objectives, as well as an overall plan to integrate all of the treatment elements, then the efforts can far outweigh the results. As with any investment, your child’s ADHD treatment plan is the most important investment you will make in your life and in the life of your child. Having a vision and setting objectives along with a timeline will help ensure that your child is getting the most out of their plan. Whether it is medication, behavioral modification, or a specialized educational curriculum. A diagnosis of ADHD does not diminish or change your child’s uniqueness, humor, or playful nature. Therefore, setting the right objectives as part of a treatment plan is the most important first step in an ADHD plan. An ADHD treatment plan should consider your child’s personality, home life, school, extracurricular activities, social life and more. The plan should be comprehensive and holistic. In addition, your family’s activities, needs, and desires must be considered as all family members will have a role in the treatment plan. Relationships: Learn how to form and maintain productive relationships with family members, teachers, and friends. Education: Learn to follow through with homework assignments and class assignments. Also, set goals and understand progress and next steps to achieve goals. Executive Functioning: Develop the ability to immediately evaluate actions and be able to modify behavior accordingly. It is important to regularly (monthly or quarterly) monitor your child’s progress against the objectives and milestones. Always check in with your child and ask how she thinks she is progressing on goals. This process teaches and strengthens self-monitoring skills and you will gain insight into how your child’s perspective matches up to those around her. Be sure that your plan objectives are realistic, measurable and observable in terms of behavior etc., and support your child in the achievement of the goals. Also adjust the plan and develop actionable steps as needed to help your child stay on track and progress towards his/her goals. To do this, check in with your child’s teacher regularly and discuss your child’s existing plan or develop a plan. Report cards, homework assignments and parent-teacher conferences are also very helpful. In addition, regular conversations with your pediatrician regarding medication and any possible side effects is key too. An ADHD Professional can help you develop outcomes and a customized plan for ADHD treatment to monitor and measure your child’s progress. ADHD treatment plans are developed from a long-term perspective and integrate everything from behavioral therapy, communication strategies, innovative approaches to therapy such as art, and medication. In addition, a coach can provide support for you, your child, and the family. Visit our ADHD Resources page for a sample email that you can use when checking in with your child’s teacher about their progress on established goals. Also, join us on social media (see icons below) to get tips and other helpful information.